Delicious spread Chitra, heard of this sodhi so much, but haven't tried it yet, will do soon..
U r outstanding Chitra each n every time u post the recipes its something new, looks yummy. 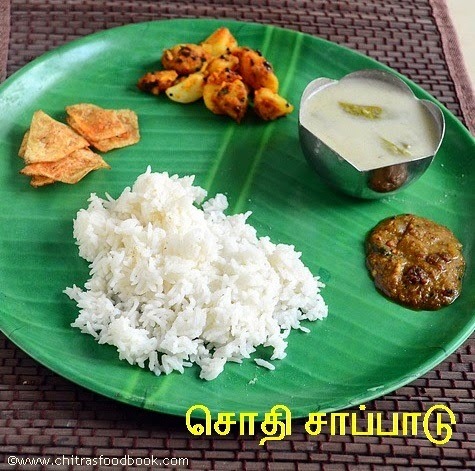 The third day of marriage is called"Maru veedu", not "Ölisai". Olisai happens at the same day of marriage after the reception ,before yennai sadangu. Its moong dal. Please check my Sodhi post. I have explained everything in detail.